Given our modern-day hectic and stressful lifestyle, most people have probably faced difficulty in falling asleep at least once in their lifetime. This problem may arise due to minor changes in lifestyle, stress, or irregular eating habits. You can rectify these problems by making simple variations in your sleeping habits. For instance, some people prefer practicing mindful meditation before sleeping as it helps them calm their mind. Others prefer hugging a body pillow or a bolster. Who would have thought body pillows have more to offer than just comfort! Sleep specialists recommend people to avoid heavy meals before sleeping and lie on their sides in order to limit the possibility of interrupted sleep. You can sleep on your side in various positions, but you may want to stick to bending your knees slightly upwards and maintaining a good gap between your chin and chest. Body pillows help you maintain this position and enjoy undisturbed sleep. Not getting quality sleep has more repercussions than meets the eye. Among the most common ones is that it can have a negative impact on your energy levels, emotional balance, and overall health. In serious cases, people who have trouble sleeping may be diagnosed with insomnia. Emotional instability due to stress and loneliness is often a contributing factor to disturbed sleep. Psychologists state that the power of touch plays an important role in emotional healing. Often, people who are troubled by stress or anxiety prefer sleeping next to another person. It is their way of combatting the problem. The concept of using a body pillow works on a similar idea. Any form of physical connection with the body can have a soothing effect and that may translate into high-quality sleep. Apart from reducing stress, a body pillow helps improve sleep quality by adjusting to your posture. It works best when you sleep on your side and place the pillow between your legs, which can relieve stress on the bottom leg. Incorrect sleeping positions can often lead to muscle pain. This occurs when blood doesn’t reach certain areas of the body. People who like to hold on to a bolster pillow or sleep on the stomach are likely to face this problem. This is because of the weight of the body or the bolster shifts entirely on one area, making it difficult for blood to circulate properly. Body pillows are made of lighter material and may not obstruct blood circulation. By using such a pillow, you can elevate certain parts of your body like the legs, feet or the lower back. This helps the blood vessels function smoothly, thereby ensuring that the heart doesn’t spend extra energy to pump blood. 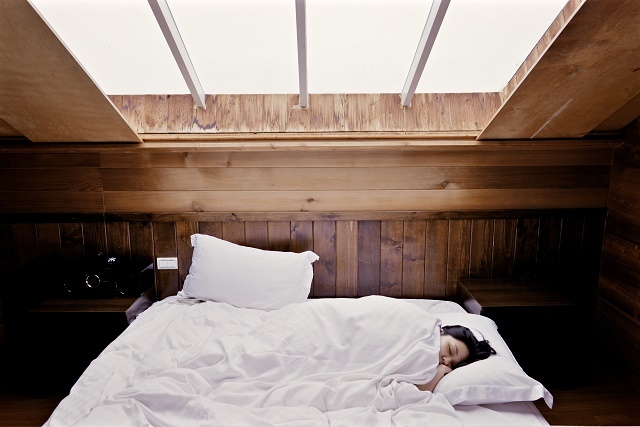 Even physical pain from a medical disorder, pregnancy or injuries can make sleeping difficult. Hugging a pillow when sleeping can help distribute your body weight and relax your shoulders and knees, increasing circulation. Consult a doctor for suggestions on the pillow shape best suited for you. Buy one that supports your neck and allows you to sleep in more than one therapeutic position. You can choose from a Genji body pillow, a body-length pillow, C-shaped or candy-cane-shaped pillow as they can support your entire body. Incorrect sleeping positions can cause permanent damage to your spinal cord. Sleeping on your stomach or back regularly can exert more pressure on your lower back, leading to severe pain and discomfort during the day. Placing a pillow just above your hips can help relieve the pressure on your hip-bone. This is extremely beneficial to people suffering from spinal disorders such as scoliosis. Experts suggest that twirling with a body pillow can be a good way to keep your spine in a relaxed position at night, in turn, allowing your back muscles to rest. With prolonged use, a body pillow can help you maintain a good posture. It’ll be easier to keep your back straight when sitting and standing tall. There is no denying that a good night’s sleep is important to feeling healthy and active throughout the day. Disturbed sleep can hamper your mood and efficiency, and subsequently, reduce your ability to handle stress. You should not ignore sleep problems as they can lead to poor health, weight gain, slacking performance, and strained emotional health. Incorporating minor changes in your sleeping habits like avoiding heavy meals before sleeping, changing sleeping posture and using body pillows can prove to be great for avoiding sleeping disorders.